Skiing and snowboarding are great activities for enjoying as a family. It’s possible for all ages to learn together and then progress through the grades of ski slopes, from easier greens, to blues, reds and then blacks (if you dare!). 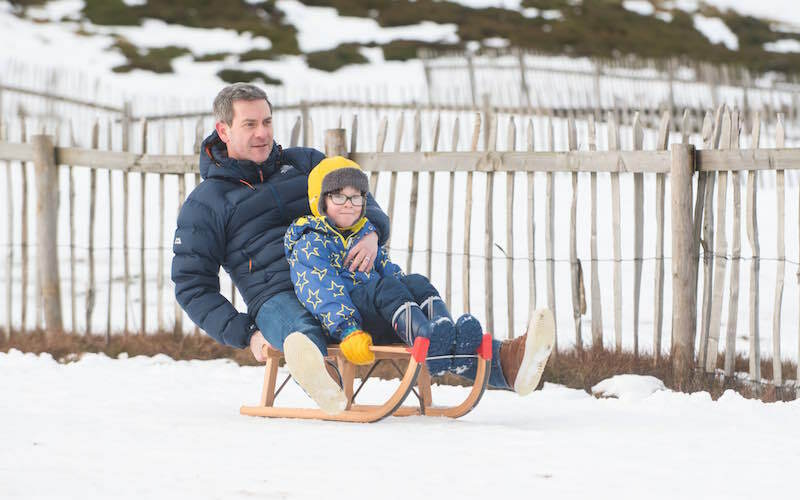 Being outdoors surrounded by nature – and Scotland’s ski slopes are located in some of the most beautiful areas of the country – is good for both physical and mental health. The whole family will benefit from the exercise, doing an activity together and a great night’s sleep afterwards. Here are some of my tips for ensuring your family skiing trips in Scotland are a success. You can try skiing year-round on one of Scotland’s many artificial slopes…before heading to the snow. 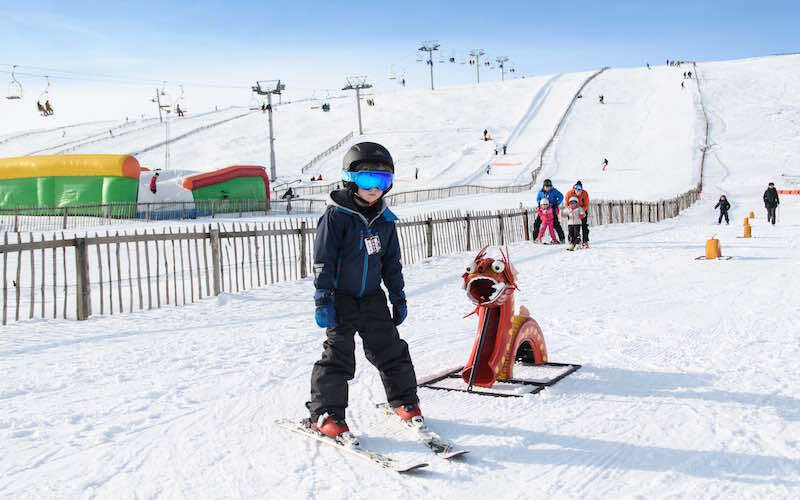 Scotland is home to many artificial ski slopes and also an indoor snow slope, which means you can try skiing and snowboarding at any time of the year and before you head to Scotland’s five ski resorts. Learning on an artificial slope will allow all the family to see if they enjoy the sport and it will give you a headstart on skills and technique. Taking lessons on artificial slopes means you will have more confidence that it’s money well spent when booking a weekend or week’s accommodation close to one of the Scottish ski resorts. List of artificial and indoor ski slopes in Scotland. Mat to Mountain Skiing article. Rob’s first ski lesson at Snow Factor. When the snow comes in Scotland, and especially at weekends and in the school holidays, the five ski centres can be busy. This means it is a good idea to book ahead. There are packages, mostly bookable through ski/snowsport schools, which include equipment, instruction and uplift. The packages make it very straightforward for a family that may not have skied before and they are also ideal for people who have learned on an artificial/indoor slope but are new to the mountains. You can also reserve ski equipment hire, lift passes and lessons separately and according to your needs. But it is best to book ahead to avoid disappointment by contacting your chosen resort. 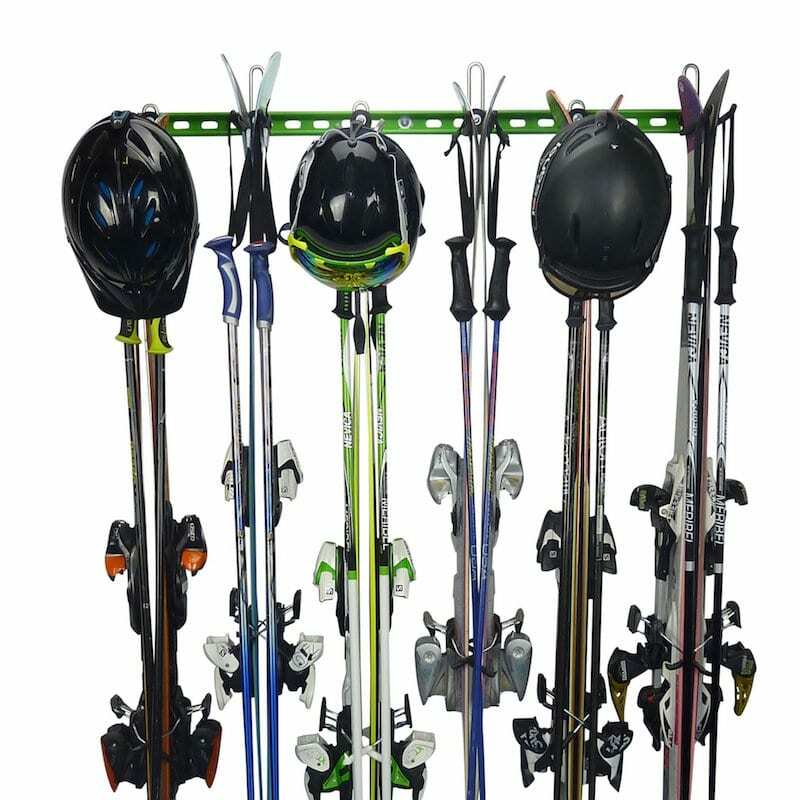 The ski centres offer hire of ski equipment. There is no point in spending money on the full ski or snowboard kit for your whole family before you know if everyone enjoys the sport. The full set, from ski gloves to skis and boots, can be costly so you should make sure everyone is dedicated to at least a few years of skiing before you buy. 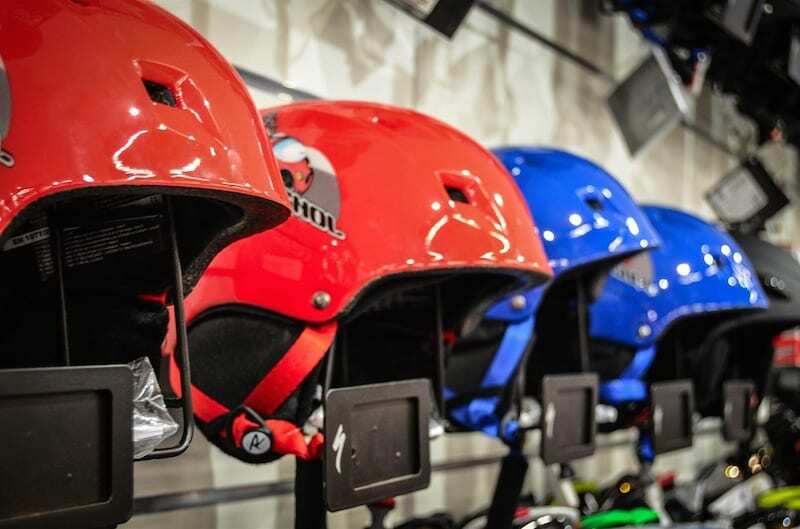 For your first skiing lessons or your first trip to the Scottish slopes, you might be able to borrow a range of items from friends and family. You can also hire ski clothing at all five of Scotland’s ski resorts. 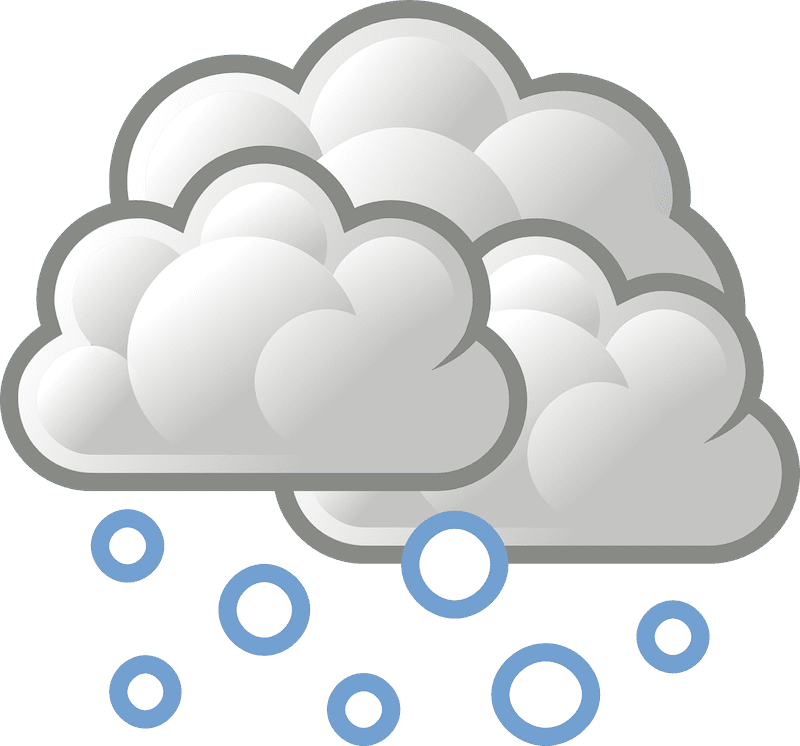 The basics include warm gloves or mittens (mittens are better at keeping hands cosy) and insulated ski trousers and jacket (you could also wear waterproof walking jacket and trousers over thermal layers and a fleece). Ski jackets and trousers are sold in a very wide range of prices. Check out stores such as Decathlon, Trespass and Mountain Warehouse, or buy in the sales out-of-season in the spring and summer. Goggles are a good idea for skiing and snowboarding and do not need to cost a lot. Extra top tip: Buy a ski jacket or skiing outfit as a birthday or Christmas present and keep in mind that is could be passed on to a sibling so gender-neutral colours are a good idea. Second hand websites such as eBay and Gumtree often reveal bargain buys for ski kit, or perhaps you can buy from friends, especially those with older children who have moved on to larger sizes. A ski helmet is not legally required in the UK but it’s wise to wear one in case of a fall. You can hire helmets at the resorts or buy your own/buy a gift for a family member. 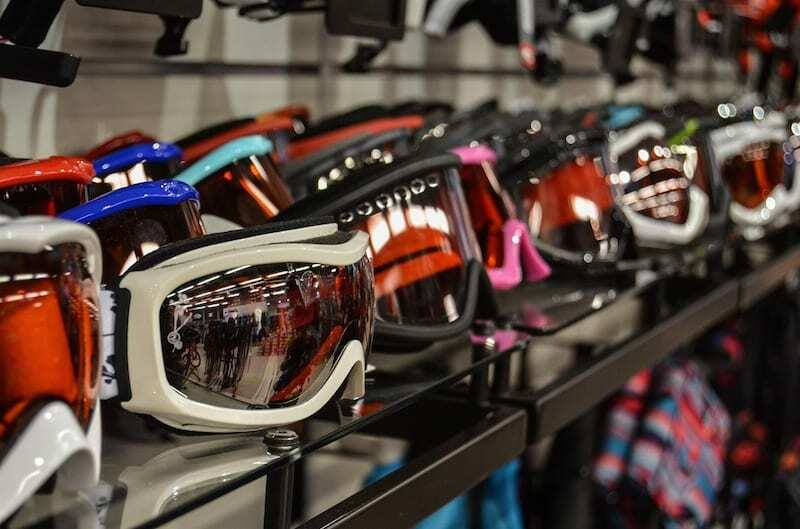 Ski goggles can be relatively inexpensive and they last for years. Try on before you buy to ensure a good fit. If you wear glasses you can buy goggles to specifically fit over your specs. There are different types of lenses for goggles and they suit different weather conditions. I recommend you have goggles with lenses for seeing better in the cloud and mist – and use sunglasses for sunny days. A scarf of some kind is a good idea, too. They are variously called neck warmers, tubes, buffs or similar. You are better with a tube of fabric, especially fleece, than a long scarf that might annoy by escaping your jacket as you ski! Ski socks also make boots much more comfortable. They are designed with cushioning in all the right places and they are longer than normal socks so they cover your skin to above the height of a ski boot. Walking boots will be fine instead of buying snow boots for when you are not in ski boots and skis. Just make sure that kids have warm socks. And take a change of socks for them, too, for after the skiing. Sweaty feet can end up damp and cold if you do not change socks after the skiing. High factor sun lotion will stop the family’s skin from burning. Lip protection or balm with a UV filter is a good idea, too. This might seem like an odd thing to use in Scotland in winter but the combination of snow, higher altitude and sunshine can quickly lead to burning. Buy factor 50 lotion from your local supermarket rather than paying for pricier so-called skiing specific lotions. They all offer the same thing, it’s just the branding and packaging that makes a difference to the price. For the rest of the equipment, including skis, boots and poles it’s a better idea to hire at the start. If there is one item that causes more whinging than others, it’s ski boots. Ill-fitting boots can lead to rubs, sores and, worse still, poor skiing technique. Ski rental providers will try their best to fit you with good quality ski boots and they will aim to ensure they are well-fitting. 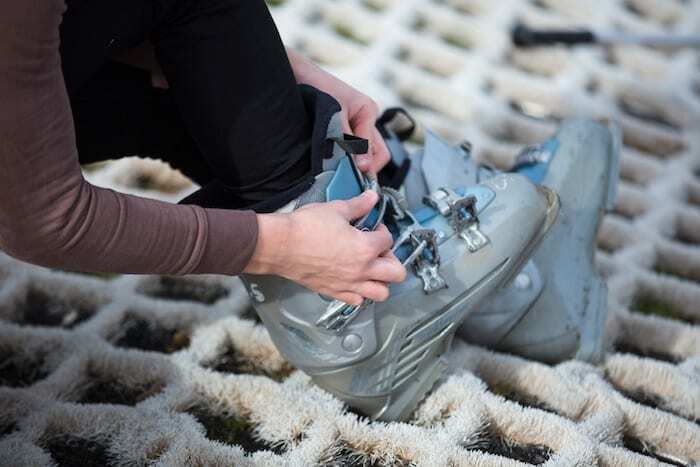 However, there is nothing to beat you own ski boots, which have been chosen for a great fit and also potentially heat moulded for more comfort. 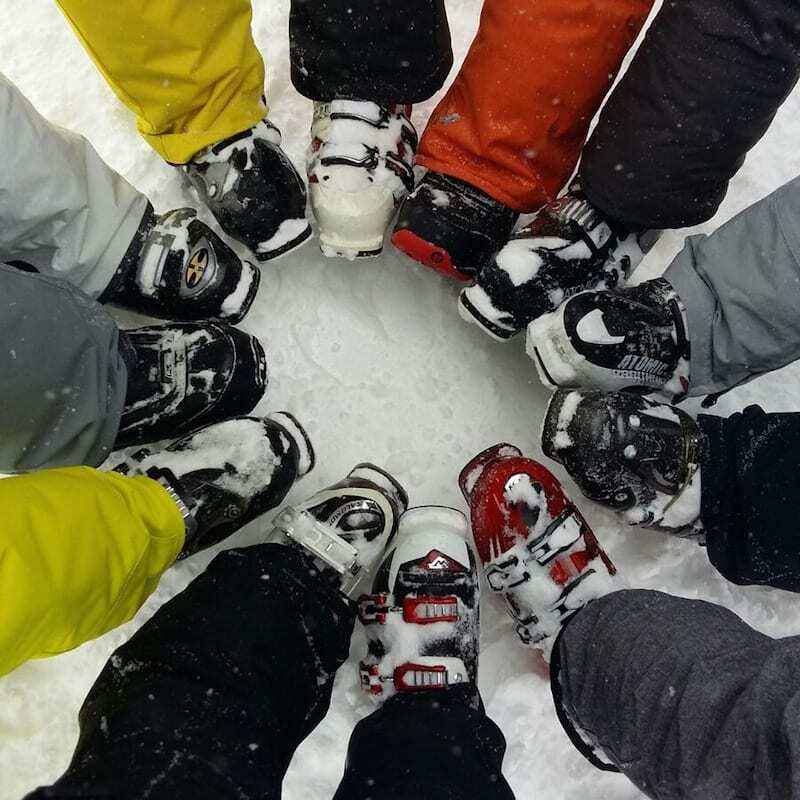 Once you are sure that skiing or snowboarding is your favourite thing to do in the winter, you might well want to buy your own ski boots. Of all the kit you require for skiing, it’s usually money well spent. Snowboarders will be only too delighted to tell you that their boots are a lot more comfortable than ski boots, although these days ski boots are far more comfy than decades past. While Scotland’s ski resorts are brilliantly accessible from cities, towns and main roads, sometimes heavy snow and extra traffic can cause roads to close and traffic to queue. Always pay heed to the weather conditions and traffic reports before you set out. The outdoors town of Aviemore gives access to Cairngorm Mountain and The Lecht. Strathspey area, including towns and villages such as Grantown-on-Spey and Tomintoul, as well as locations like Ballater, are also well placed for reaching The Lecht. Nevis Range can be reached from another popular outdoors town, Fort William, and don’t forget locations on the southern edge of Strathspey, such Newtonmore and Kingussie. Glenshee can be accessed from popular tourist villages such as Ballater, Braemar, as well as villages and towns in Angus and Perthshire, such as Kirriemuir, Pitlochry and Blairgowrie. Glencoe Mountain has on-site accommodation options, including Hobbit Huts and motorhome hook-ups. Check out Glencoe village, as well as the newly opened Kingshouse Hotel. Mid-week is a good option for quieter slopes. As a family, you might be able to take a trip if your children are pre-school age. For those coming from England or further afield, you may well find that your school holidays are different from the standard Scottish holidays so you will benefit from less crowded resorts. Keep all your ski kit on an easy-to-find location at home. It’s easier to take advantage of a good snow day, or a bluebird day, if you are ready to leave home for the slopes as soon as the forecast looks good. Having all your kit in an accessible place at home and being flexible with your routines and activities will allow you to get ahead of the crowds. See my review of Gear Hooks for keeping sports and ski kit in one place. If you are new to skiing or snowboarding, you might well find that the kids get tired after a few hours on the slope. Perhaps you could plan to add another snow-based activity to your day or weekend. Many of the Scottish ski resorts offer a variety of slopeside fun, such as sledging, freestyle parks and tree adventure (Nevis Range). 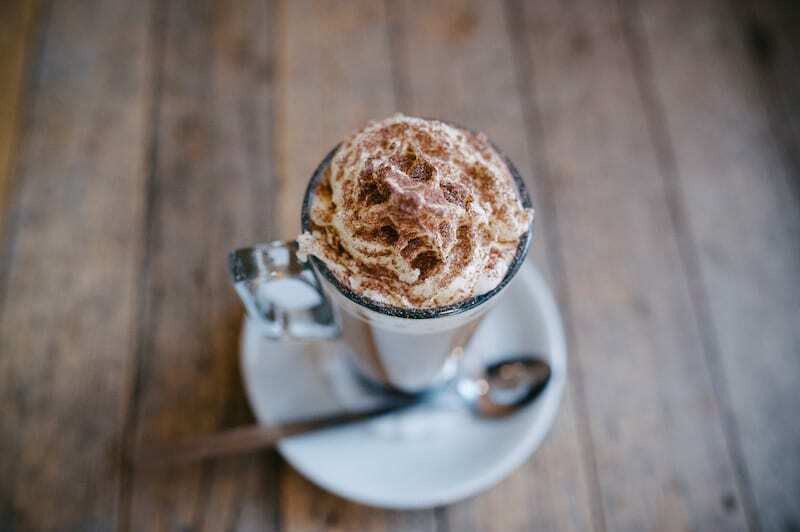 A creamy hot chocolate often works a treat for refuelling. Skiing and snowboarding are energetic, which means it’s a good idea to have regular re-fuelling stops. The resorts have cafes and restaurants and you should make sure you check in regularly for energy giving hot chocolates, snacks and lunch. You can take your own picnics, too, to keep the cost of refreshments at a more budget-conscious level. One tip from parents that might seem trivial but could prove important if your child suddenly needs the toilet. It can take a surprisingly long time to remove all the clothing layers, especially if they are wearing ski trousers with braces, when your youngster needs the loo! Recording your outings and trips to the Scottish ski resorts, with photos as well as written notes and captions, will remind you of where you went and what you liked. 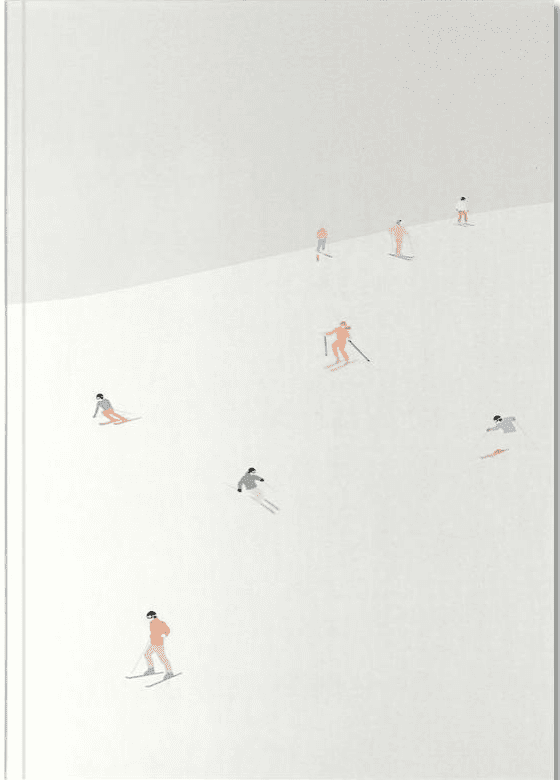 Kids enjoy adding their anecdotes and photos to a diary – and it offers great keepsake for when they grow older and have forgotten all those great family ski trips. To find out more about all of the Scottish ski resorts see Ski Scotland. This blog post is published in association with Ski-Scotland.